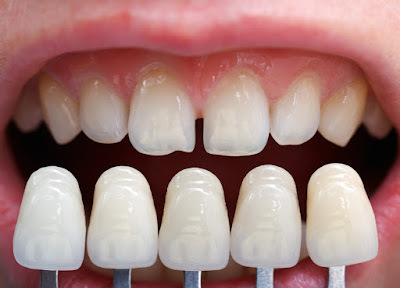 When we look at the porcelain veneers and crowns (also known as caps) after being installed on the teeth, they both look quite similar. However, there are some major differences between the both. Hence, both the patient and dentist need to decide whether to go for veneers or crowns. While both procedures may result in similar aesthetical results, the uses for both are quite different. Starting with the common grounds, both the veneers and crowns need the tooth to be altered before they are fitted on the place. This is the very reason that both treatments are considered permanent. Talking about veneers, the treatment to fit veneer is to serve the aesthetic purposes. This procedure mainly involves fitting of a veneer of a contact lens thickness on the cracked, broken or discolored tooth. A tooth with porcelain veneer tends to look and function in the same way as that of a natural tooth. Before the fitting of veneer, about 0.1 to 0.5 millimeter of the tooth’s enamel is scratched away. 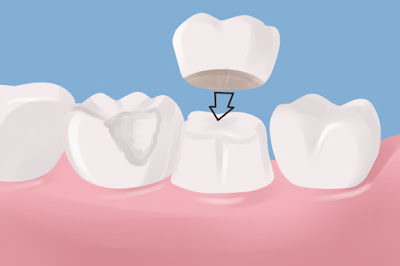 So, that tooth, without the veneer, will not look aesthetically perfect because of the modified appearance. Now, let’s talk about the more functional solution; i.e. crowns. Crowns are required when the major structure of tooth, and hence the functionality, is missing. The problem which can lead to the requirement of fitting of crown may get created due to accidental breakage, tooth decay or a root canal therapy. Since posterior teeth are the best candidates to have crowns, the patient may decide to have less aesthetic options such as gold, chromium or nickel. 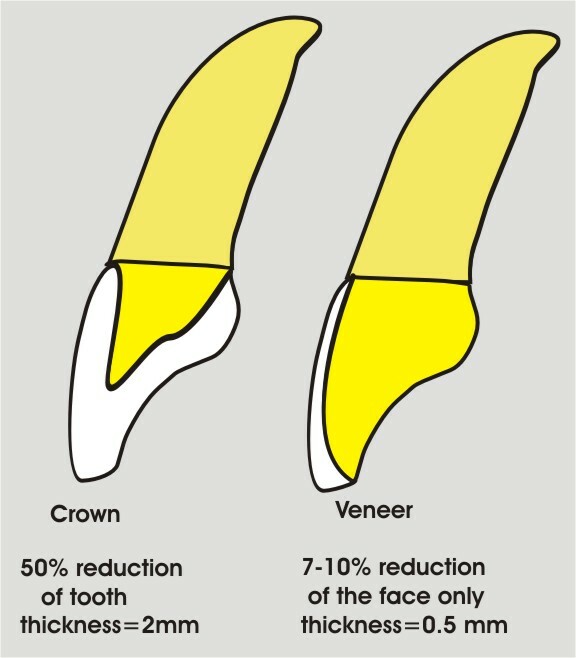 The crowns, unlike veneers, must cover the entire tooth. So, the process mainly requires more of a tooth structure to be modified. You should look for a dentist who would have the services of ceramist right in the clinic. This would ensure that your veneer or crown is being modified exactly according to your requirements. If dentist doesn’t have a ceramist, you will have to make sure that your teeth are photographed and documented in a fair amount of detail. This documentation not only saves time but you will also be happy with the results. Before you do through the procedure of restoration, you will have to make sure that dentist is considering every aspect regarding how the restoration will function after getting completed. Remember, gaining or regaining aesthetics is never challenging. The real challenge is ensuring the proper functionality of the tooth. Thorough analysis before the procedure holds primary importance. There are usually two consultations before the restoration process. First consultation would be of 90 minutes in which the tooth and its requirements are analyzed. The second consultation is about finalizing the treatment. Main purpose of both consultations is to look into every aspect regarding requirements and the considerations after the procedure.